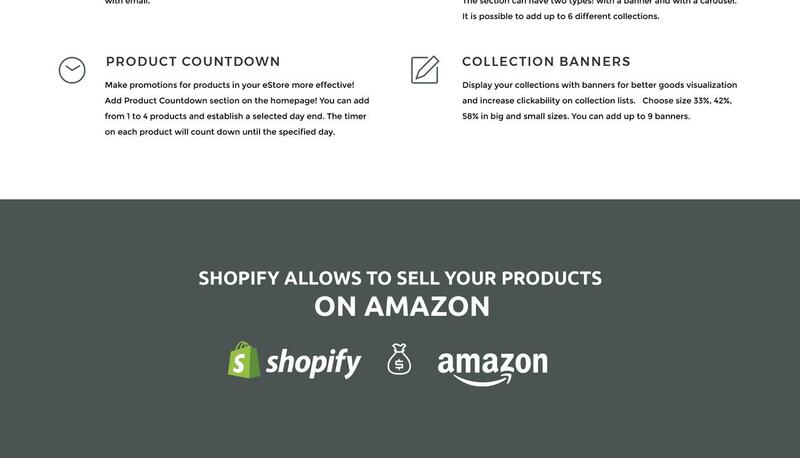 This Shopify theme has many features you can use to boost your client base and profit. It was developed by professionals especially for clothing shops and outwear store, yet it can suit any type of fashion business. Elegant and creative design attracts clients and provides you with customized options. Moreover, it is simple to change your website design and you can do it with simple drag and drop. In addition, you can use a blog and high-quality images to present your products in the most preferable way. 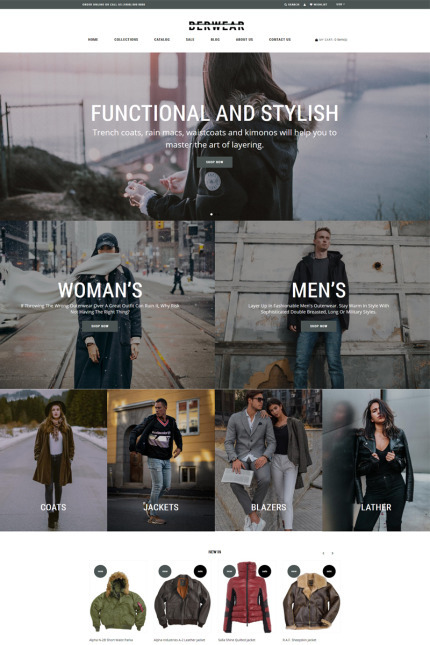 Due to Shopify e-commerce pack, you can add cart button, wishlist and currency option feature to provide customers with the comfortable shopping experience. It is a very well-structured template and provides simple product search. There are many more features and you can find them on a product page.